Is your class reviewing for the FSA, AIR, or other state test? 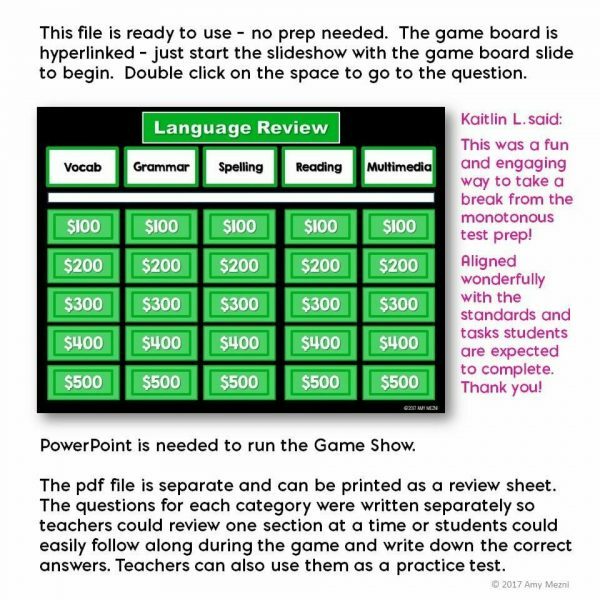 This ELA resource includes two sets of paired texts, a Game Show in PowerPoint, and a pdf file of the same questions. 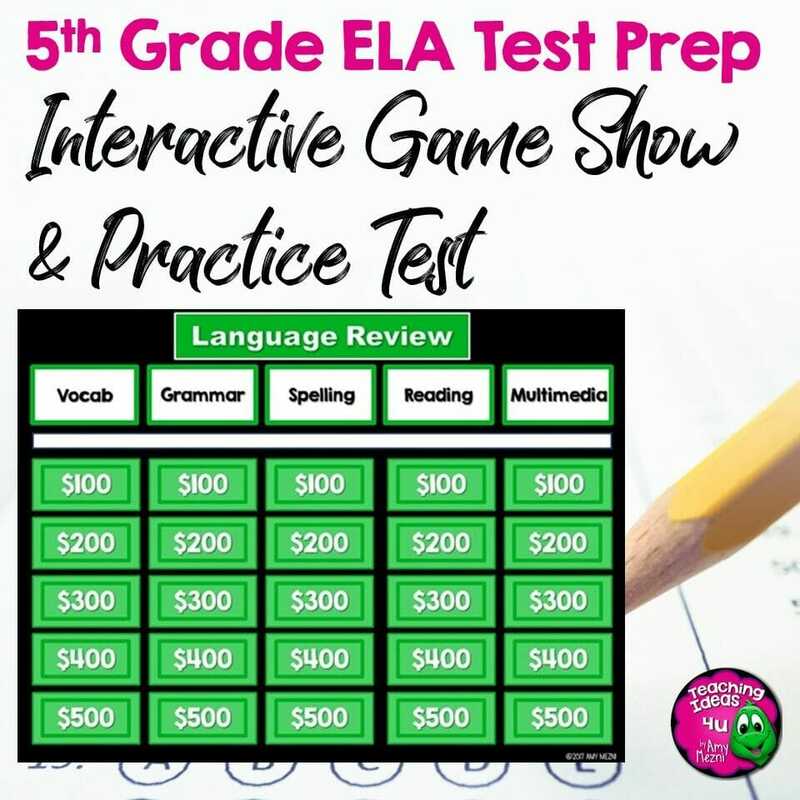 The educational game has five categories, spelling, grammar, vocabulary, reading, and multimedia. 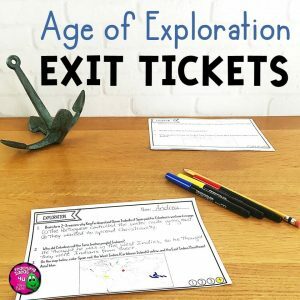 There are a total of 30 questions, 6 questions in each category. 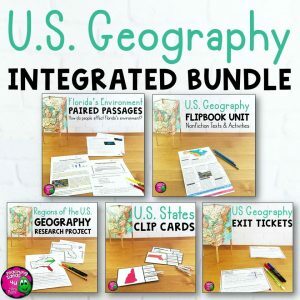 The paired passages are on grade level and written in test format. There is a set of passages on John Henry, one fiction and one nonfiction. 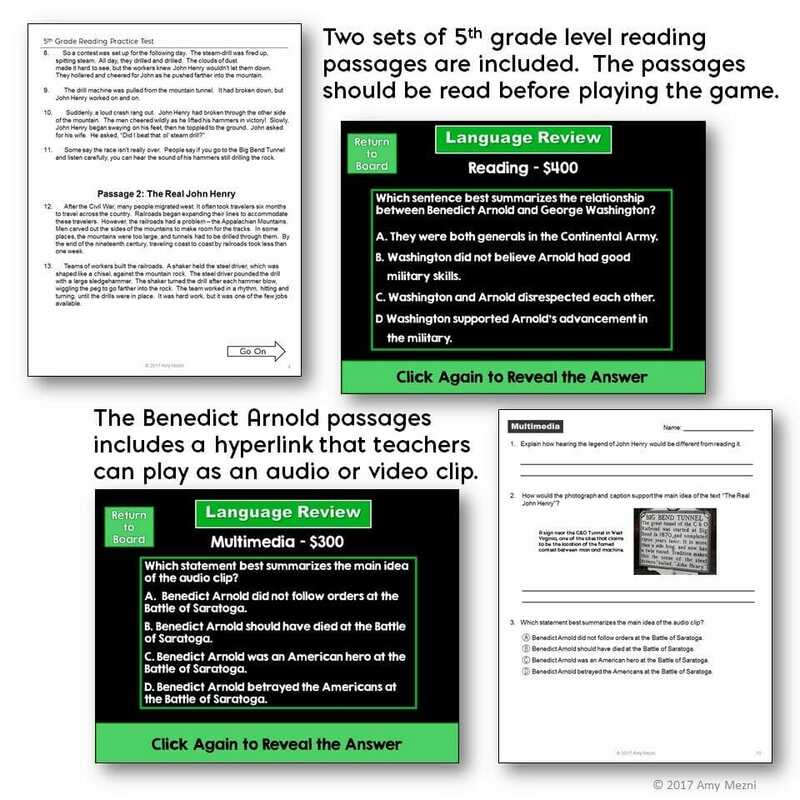 The other set of passages includes two nonfiction passages on Benedict Arnold, as well as a link to a video that can be played as an audio or video clip. The paired passages could be used first as strictly reading passages for extra practice. 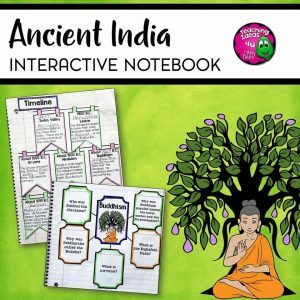 All reading and multimedia questions refer to the texts. Students will need the passages during game play. Teacher may want to use the passages during the week, then play the game at the end of the week. 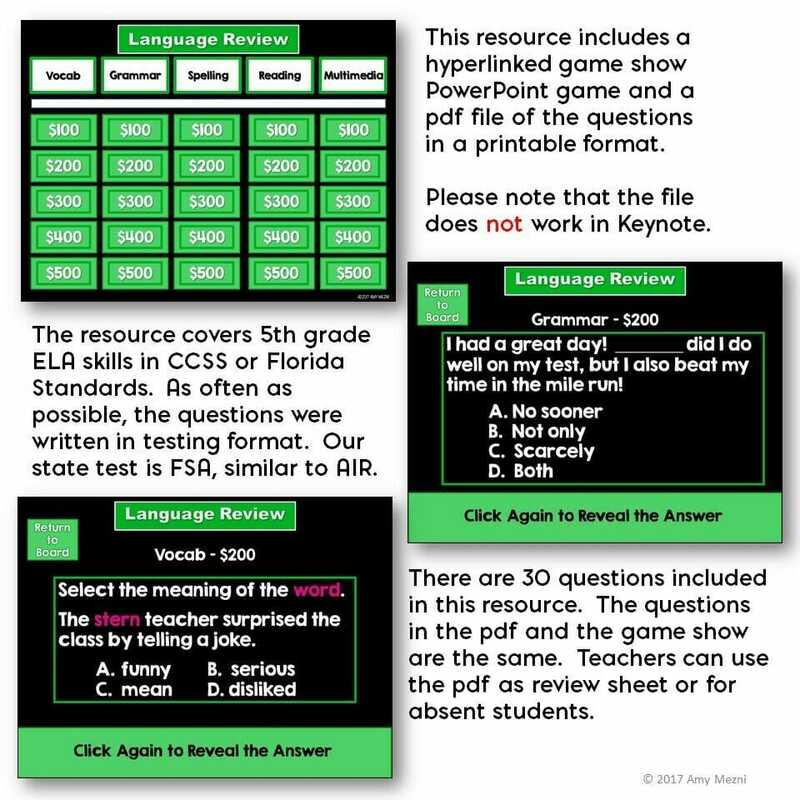 The skills covered in this resource are from the 5th grade Common Core or Florida ELA Standards. 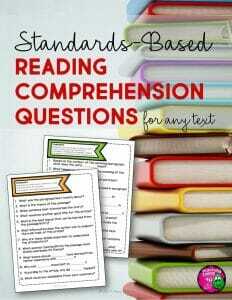 If your state standards are based on the Common Core, this product will most likely align with your standards.